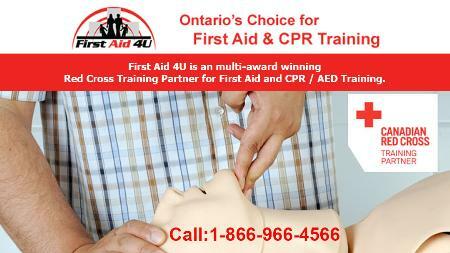 First Aid and CPR Training Courses provided by First Aid 4U. First Aid 4U is Peterborough’s Award Winning Red Cross Training Partner offering WSIB approved First Aid and CPR courses as well as Red Cross recertification in Peterborough and surrounding areas. Try us out and see why so many businesses, groups and people tell us that our First Aid courses are the best they’ve ever taken.